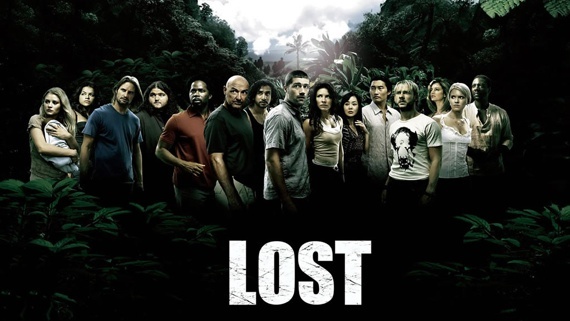 Two main story lines to follow in this episode: the "others" are coming to the main camp, bringing back Michael, Jin and Sawyer (who's really sick), and then there is Shannon. Shannon wants to prove that she can take care of herself and others. She is chasing after Walt, who she sees running around the island at several points. She wants to make sure he's ok, she wants to do something instead of just sitting around. As the flashbacks point out, she's never had anyone believe in her, and I'm not sure she ever really believed in herself. After her dad dies, because of this lack of faith, she loses everything. But when Boone offers to help, she turns him away, because she feels he doesn't believe in her either. This is paralleled in the episode with Sayid, her new love interest. He doesn't really believe that she has seen Walt, he attributes it to her grief over Boone. Maybe they are connected, maybe her grief is creating in her more of a need to be self-sufficient now that her caregiver is gone. Either way, she eventually turns Sayid away, rushing after Walt. The other crew is making their way across the island, seemingly followed by the other "others." Soon enough, Sawyer's wound from the raft gets infected and he can't keep going, falling unconscious, placing everyone in the group in danger. These people have definitely been having a harder time on the island than the group we've watched so far, and the "others" have stolen their people. I'm not sure why this has caused Ana to be so mistrustful of even her own people, but she is really getting on my nerves. As they rush from their pursuers, unfortunately these two stories intertwine. Just after Sayid confesses his love for Shannon, and Shannon finally has someone to believe in her, Ana and the gang come around the bend, and our trigger-happy, moody friend shoots Shannon. I don't know how this is going to turn out, but it isn't going to make the new group feel very welcome! Hopefully Ana calms down and changes her ways, but I don't know how she's going to overcome a death on her hands… Either our group or the island itself is going to bring some retribution.